Trump's promise to label China a currency manipulator didn't happen on day one, and potentially won't happen at all. 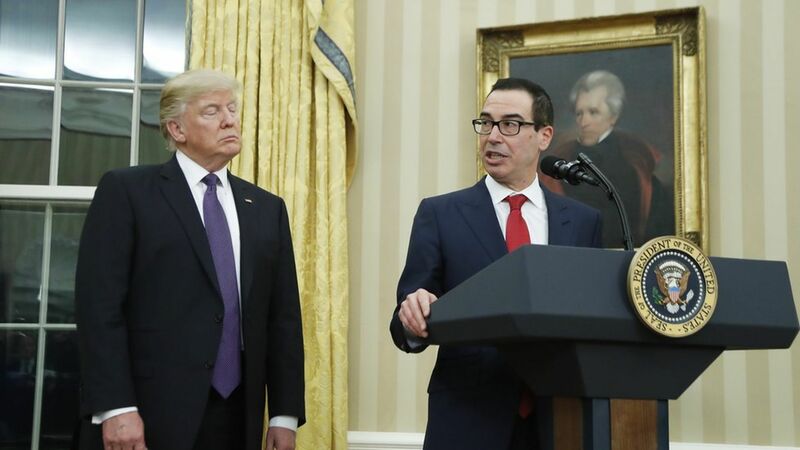 Instead the Trump Administration is considering designating the practice of currency manipulation as an "unfair subsidy when employed by any country," The Wall Street Journal reports. The truth about this: It is already the position of the government that currency manipulation is bad, so this would take a symbolic act and make it even more symbolic. The labeling of a country as a currency manipulator simply requires the Administration to begin negotiations with that country on the subject, and subsequently bring action against the country at the International Monetary Fund if no remedies are made. What's next: The Journal writes that after the move, "U.S. companies would then be in a position to bring anti subsidy actions themselves to the U.S. Commerce Department against China or other countries." But if the Trump Administration is reluctant to elevate these complaints, it's difficult to see how they will materially affect trade balances.